30 years ago I had a small sprouts business, mainly alfalfa. Everywhere I go, I always look for them because it’s a great snack when on the move and traveling. Sprouts may refer to a number of vegetable or plant beans after they begin to grow. The most common sprouts that people regularly use in cooking are alfalfa, soy and mung bean, as well as various other types of bean sprouts. The reason that so many people turn to sprouts as a source of food is that they represent a significant amount of vitamins and nutrients than they do in an un-sprouted form. Typically, a week after sprouting, the sprouts will have the highest concentration and bioavailability of nutrients. There are a number of different cultures that highly value sprouts as an essential element of their cooking. Asian nations, in comparison to other countries of the world, seem to have adopted sprouts as a topping for various dishes, as well as a common ingredient in salads. Its very easy, choose your seeds and your container. Drain them or check www.hamama.cc and buy a kit, like above, to grow them by pouring 3 cups of water in tray and in 10 day you have micro greens. 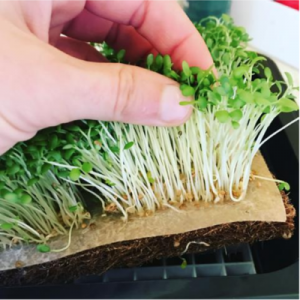 Why do I like microgreens? I always like to eat some fresh greens with my cook food. That helps me, as an enzyme, to digest my meal. Also it gives me a fresh supply of greens in the winter months. Do you grow sprouts or microgreens? Do you use a jar, a special bag, tray or a kit? With an enormous amount of vitamins and mineral, sprouts contain protein and fiber, as well as vitamin K, folate, niacin, thiamin, vitamin C, vitamin A, and riboflvonoid. In terms of minerals, they contain manganese, copper, zinc, magnesium , iron, and calcium. One of the best things about sprouts is that they contain an unusually high number of enzymes. 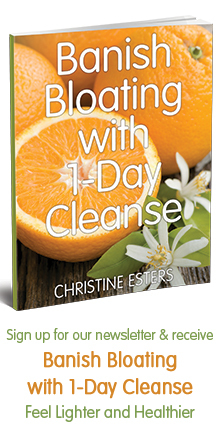 This can help boost various metabolic processes and chemical reactions within the body. Enzymes are an important part of the digestive process, and they help break down food effectively and increase the absorption of nutrients by the digestive tract. The dietary fiber in sprouts makes them an important boost for digestive functions. Fiber bulks up the stool, making it easier to pass through the digestive tract. Dietary fiber also stimulates gastric juices, which aid the enzymes already found in sprouts in breaking down food effectively and efficiently. They are a great way to clear up constipation, as well as diarrhea, and can even prevent colorectal cancer. As already mentioned, sprouts contain a wealth of enzymes that usually aren’t available through food. This major influx represents a kick start for the body, and can seriously impact its metabolic activity. Beyond that, sprouts also contain protein, which is the essential part of food that allows our body to perform all of its chemical functions. Protein is necessary for almost all bodily processes, particularly the creation and maintenance of cells, organ repair, skinhealing, bone growth, and muscle development. This means that sprouts are an easy and delicious way to improve the overall functioning and development of your body. This high nutritive content is also why sprouts are so highly recommended for vegans since only meat is considered as a traditionally important source of protein. They can replace that source of protein for many people. Anemia is an iron deficency. If you don’t consume enough food with iron, your red blood cell count drops, because iron is an essential part of red blood cell production. This can result in fatigue, lack of focus, nausea, light-headedness, and stomach disorders. By maintaining your red blood cell count with proper amounts of iron (and copper, which is also found in sprouts), you can improve the blood circulation in your body, increasing the oxygenation of organ systems and cells to optimize their performance. Sprouts are one of those foods that are very high in nutrients but very low in calories. This means that you can eat them without worrying about compromising your diet. 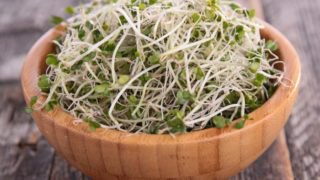 Furthermore, the fiber in sprouts helps to make you feel full, both by adding bulk to your bowels and also by inhibiting the release of ghrelin, which is the hunger hormone that tells our mind that we are ready to eat something. This can reduce snacking and overeating between meals, two of the biggest problems for someone suffering from obesity. Sprouts are a good source of omega-3 fatty acids, and although these are technically a form of cholesterol, they are considered “good” cholesterol (HDL cholesterol) and can actually reduce the amount of harmful cholesterol in your blood vessels and arteries. Omega-3 fatty acids are also anti-inflamation , so they reduce the stress on your cardiovascular system as well. The potassium content of sprouts also helps to reduce blood pressure, since potassium is a vasodilator, and can release the tension in arteries and blood vessels. This increases circulation and oxygenation while reducing clotting and lowering the risk of heart attacks, and strokes. The antioxidant activity of the organic compounds found in sprouts makes it a very good anti-cancer food for your diet. The vitamin C, and A, as well as amino acids and proteins (including the huge amount of enzymes), can also impact the free radical content in the body. Free radicals are the natural, dangerous byproducts of cellular metabolism that can cause healthy cells to mutate into cancerous cells. They are also responsible for some heart diseases, premature aging, cognitive decline, and a variety of age-related health concerns. Sprouts can counteract these effects, thereby reducing the chances of developing cancer. Vitamin A has been associated with an improvement in vision health for many years. It acts as an antioxidant agent to protect the eyes’ cells from free radicals. In this way, sprouts can help prevent glaucoma, cataracts, and macular degeneration. In fact, it can help improve vision too, so eat your sprouts and start seeing the world a bit more clearly! Cold sores can be an unsightly, painful, and uncomfortable condition to suffer through. If they get infected, they can even become a serious health risk. There is a specific enzyme, called lysine, which inhibits the growth of cold sores and treats them if they appear. This enzyme is conveniently found in significant amounts in sprouts! If you like to learn more about real food, great for your body, go to www.adventureinwellbeing.com and schedule a coaching session with me. it will change your life for ever.